Integrating technology and agriculture is the core of his development model for Andhra Pradesh, Chief Minister N. Chandrababu Naidu, who was on a three-day tour of the U.S, said. Speaking to The Hindu by phone from New York, Mr. Naidu said his first innings as Chief Minister of undivided Andhra Pradesh had put the State and the city of Hyderabad on the world map as an IT destination and his new focus is getting technology and rural economy work together. That, while keeping the new State of Andhra Pradesh as a welcoming destination for Indian and global investors, Mr. Naidu said. The A.P. government and the Iowa State University have a partnership to develop a Mega Seed Park in Kurnool, the foundation stone for which was laid by Mr. Naidu on October 9. He said the climate and other conditions will help the city become a hub of seed research and development for India and the State government would be partnering with several global foundations, research institutions and universities for the project. The Park would have world-class laboratories and seed processing facilities, Mr. Naidu said. The Chief Minister said the plans were also to develop a globally reputed organic agriculture sector for Andhra Pradesh. The US-India Strategic Partnership Forum (USISPF) hosted a roundtable in Des Moines for Mr. Naidu and U.S. agricultural companies attending the World Food Prize events at the Iowa State University, where the Chief Minister was a guest. “…roundtable was to discuss areas where U.S. industry may be able to work with the Andhra Pradesh Government in providing agricultural extension services to farmers and to transfer the latest technical knowledge to the farming community, introduction of high yielding varieties, laying demonstrations, imparting training to farmers to improve skills and knowledge to boost the agricultural production and productivity,” said Mukesh Aghi, President, USISPF. 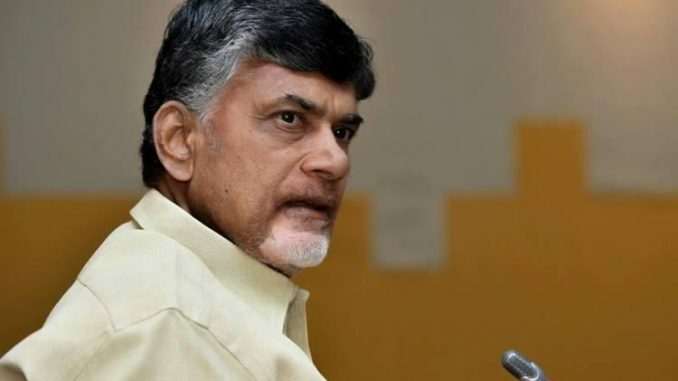 Inviting the Telugu community to invest in A.P., Mr. Naidu said the State Economic Development Board was active in tapping the strong Telugu community to invest in the State. “Andhra people are strong professionals and entrepreneurs. In Chicago, I met with many of them. Seventy companies or entrepreneurs have agreed to set up activities in A.P., that could create 8,000 jobs in all,” he said. Mr. Naidu said his government was mindful of the issues related to H-1B visa, and other immigration issues. “We have constituted a mechanism to coordinate with Andhra people in America and bring such issues to the attention of the Central government so that they could be taken up with the U.S administration,” said Mr. Naidu.